I have worked with students and teachers of A level philosophy since 2003. My company, A Level Philosophy (ALP), provides training, webinars and resources for teachers and students of A Level, Pre-U and IB philosophy and religious studies. We also provide talks and conferences in schools. Our INSET days for teachers and our webinars cover material for the AS and A level exams in AQA Philosophy. Because of the shared material in epistemology, philosophy of mind, ethics and philosophy of religion, they may also be of interest for those taking A level Religious Studies, the International Baccalaureate, or the Cambridge Pre-U. 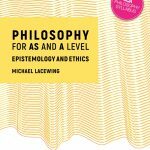 I have written numerous textbooks for the AQA A Level Philosophy syllabus over the years. 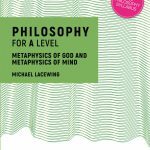 The current 2017 syllabus is covered in Philosophy for AS and A Level (Epistemology and Ethics) and Philosophy for A Level (Metaphysics of God and Metaphysics of Mind). The UK’s premier on-line collection of resources for A level philosophy is hosted by the publishers Routledge on a companion website for the textbooks. Other writings on topics of interest to students and teachers can be found here.